Alltech fire-rated doors means that the door, when installed properly and professionally, is not supposed to catch fire during a certain time period in the average fire. A fire-rated door is a very strong & heavy door made of mainly metallic materials. Its main purpose is to restrain thick smoke and to restrict fire advancing into other areas. Time ratings deviate and some standard market ratings include 15-75 minute doors. Alltech security Kenya! Fire Doors! We offer 60min & 120min fire rated doors! Featuring the HBS60 & HBS120 fire-rated steel side-hinged security doors from Alltech security systems Kenya! 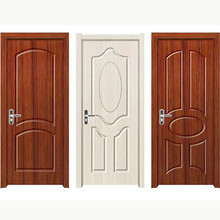 Is the leading supplier and installer of fire rated doors in Kenya . other branches include Eldoret Nakuru Mombasa Naivasha Thika Kitale Bungoma. Best fire doors for schools Dormitory Churches Hospital Offices Supermarket etc Available in both the C1 and C2 models, the HBS fire-rated steel door sets offer high levels of protection against fire and offers powerful assurance when protecting electrical mains. When closed, our doors act as in impenetrable barrier providing safety and when open, they offer an invaluable means of escape from a potentially life-threatening scenario. Alltech security systems offers high quality fire door in Kenya ,eg the glass doors fire wooden doors steel doors among many , the steel Fire Heat Barrier Series doors and frames provide a barrier to radiant and conductive heat transfer. Incorporating precise European engineering, the system also allows full-lite fire doors for aesthetic or security reasons. Fabricated in the Uk, Heat Barrier Series doors (with ratings up to 90 minutes) and frames (with ratings up to 2 hours) are classified and labeled with UL and ULC. Classified and labeled by Underwriters Laboratories Inc.® and Underwriters Laboratories of Canada. File number for labeled 60/90/120 minute fire-rated assemblies is R-19207, design U533. Frame tests performed in accordance with ASTM E-119, CAN/ULC-S101, NFPA 251, UL 263, UL 9, UL 10C, UBC 7-2 and UBC 7-4. Door tests performed in accordance with UL 10B, UL 10C, ASTM E2074 and NFPA 252. 55mm thick asbestos free composite Fire / Smoke check wooden shutters of 120 minutes fire resistance rating confirming to BS : 476 Part – 22 & IS : 3614 Part -II comprising of two 12mm thick calcium silicate boards sandwiching 25mm thick Proprietory fire resistance insulation material faced with 3mm commercial ply on both side with heat activated intumecent fire seal strip of size 15mm x 4mm mounted on grooves on three sides except bottom and one coat of anti-termite fire retardent primer.